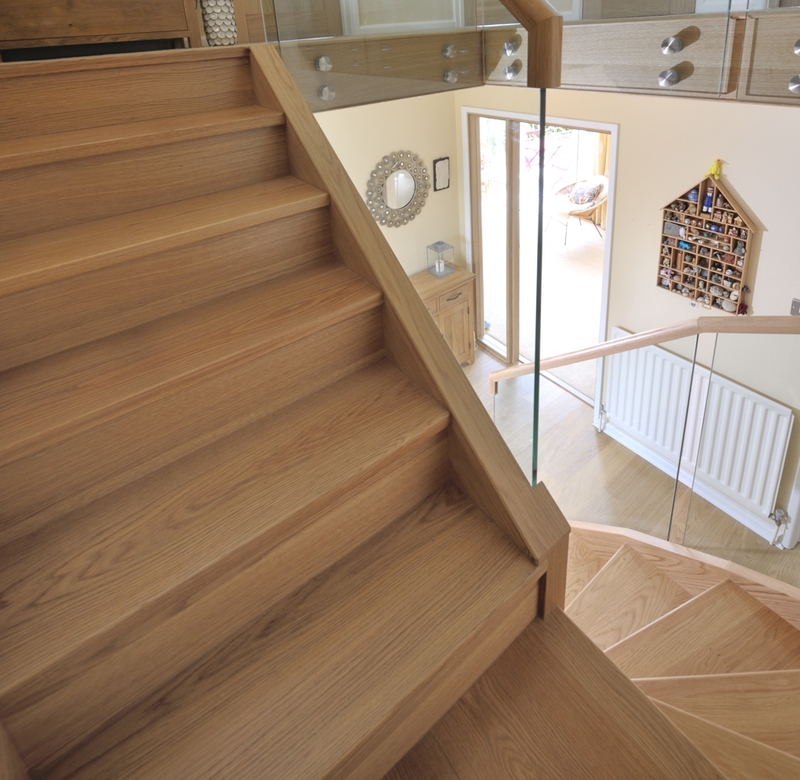 Our Customer Stories series of blogs look at how we’ve helped some of our clients create the bespoke staircase they’ve always wanted. 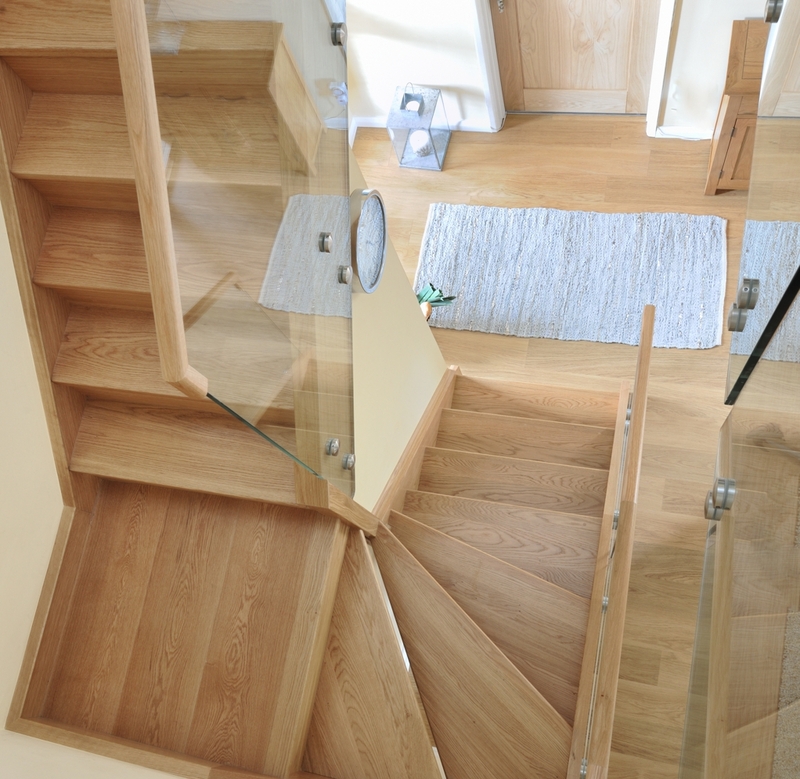 Su and David Lewington wanted a sleek and minimal, modern staircase in keeping with their 1970’s home. 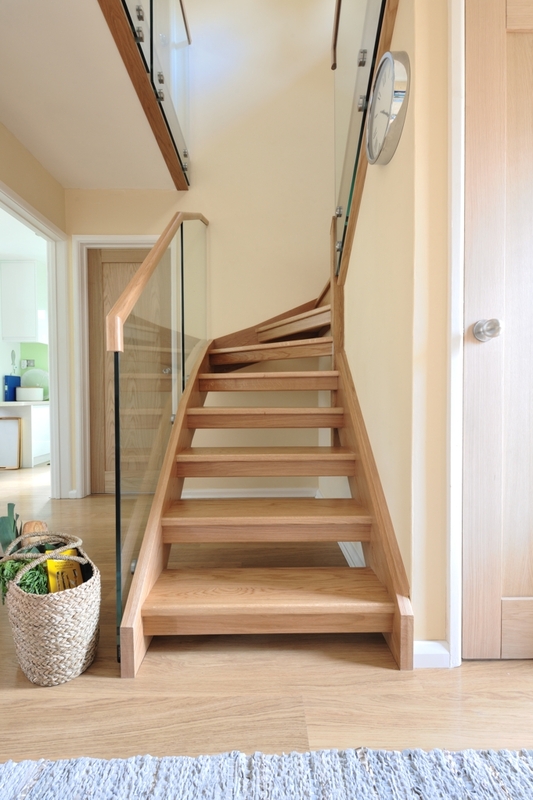 This project was unusual in that it was both a staircase renovation and renewal. The top section of the staircase was being renovated, while the bottom half involved a new staircase design and layout. 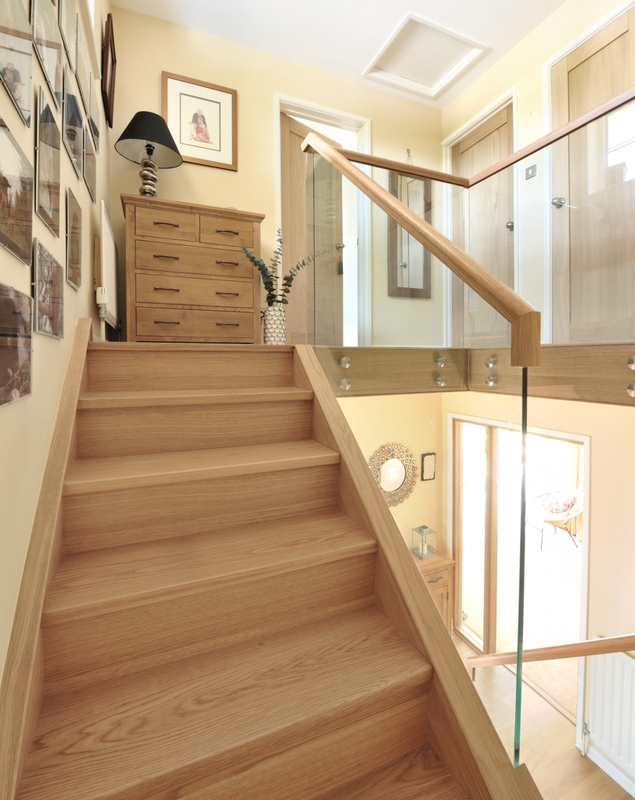 Here’s how we helped them create a stunning, central focal point in their home. 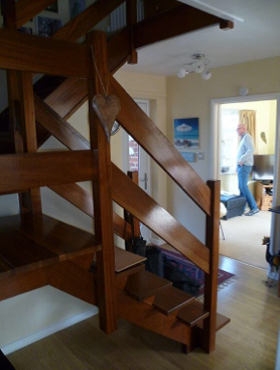 Replacing a dated, open-tread staircase in dark wood, Su and David wanted to bring their home up-to-date with a new, modern look and feel. It was important that they retained a feeling of openness in their hallway, and the new design also needed to address some of the old staircase’s quirks. 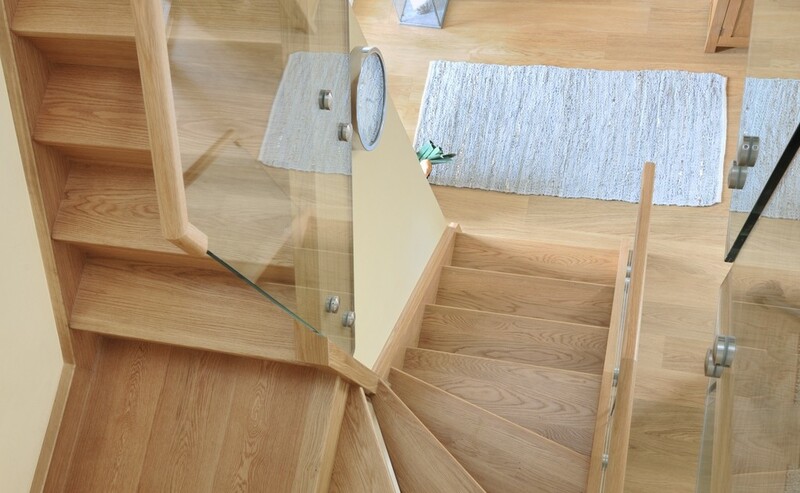 To achieve this, we opted for glass to give the staircase a contemporary look that was light and airy. 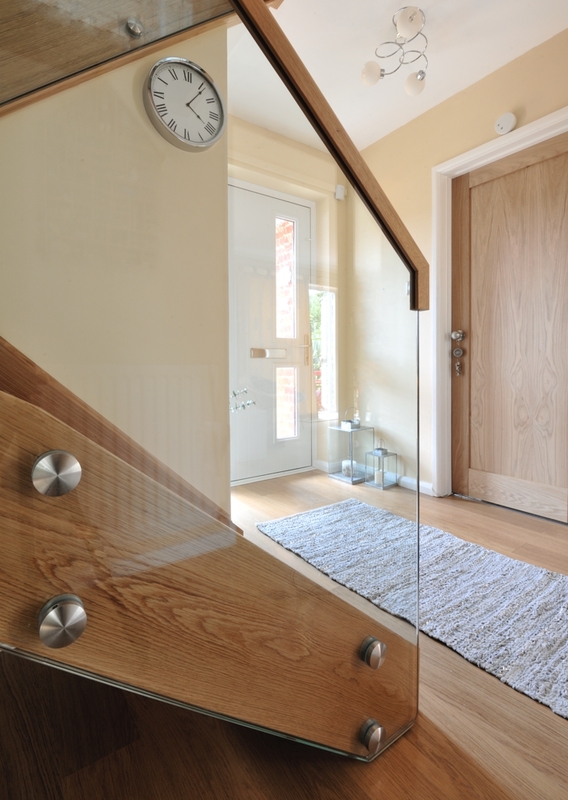 A slim handrail simply tapers the end of the glass instead of being continued to floor level, giving the effect of it floating on air. The whole staircase ‘swept’ around the turn in the stairs rather than having an awkward ‘jump’ to the next level, which would have created a large gap in the steps. This added to the seamless flow of the design. In terms of materials, a modern mix of wood, metal and glass gave the whole staircase a sleek, contemporary look. 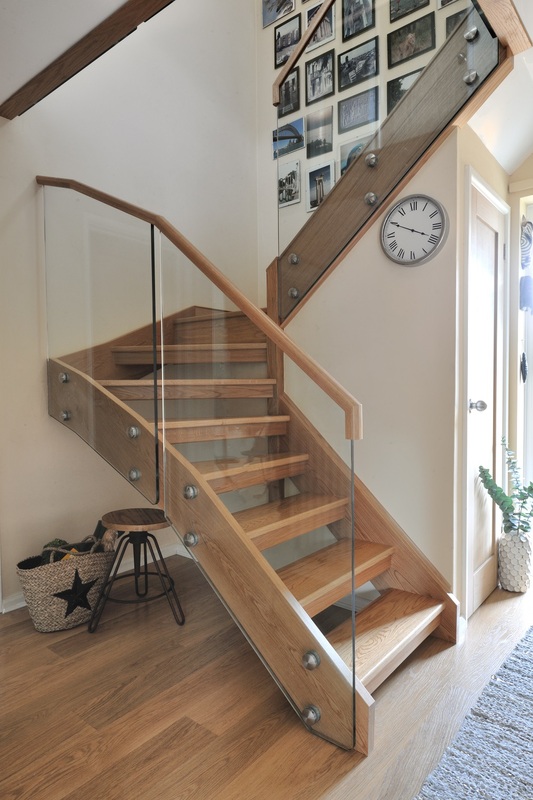 Combining oak wooden treads and handrails with clear glass panels and stainless steel bolts, the staircase managed to be practical, beautiful, functional and eye-catching. 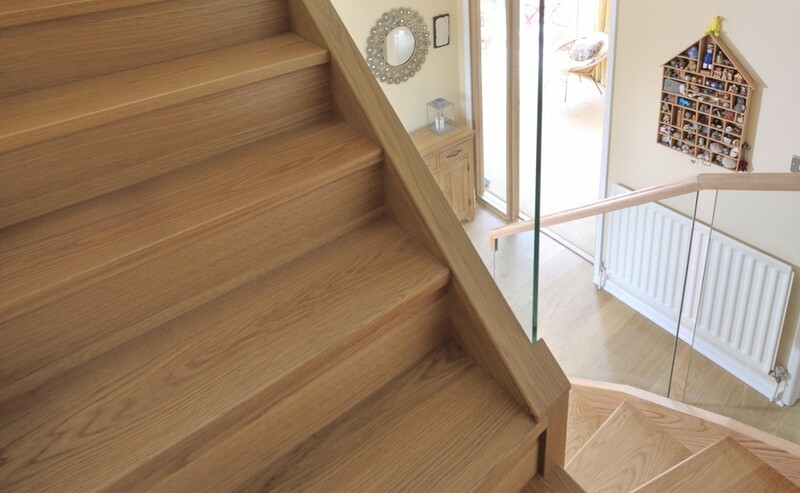 Rather than simply being an access point to the next floor, the staircase now provides a key design feature in the Lewington’s home. Finding Jarrods by searching online, the Lewingtons were impressed by the service from Jarrods from the outset. Su and David also explain how the design, surveying and checklist process was quick, smooth and fuss-free. “The first thing we noticed about the service we received from Jarrods was their punctuality. If they said they would be here at 8am, they were in fact here 15 minutes early. If they said they would be here on a given day, they were. From the outset, this made a huge difference to our feelings towards the installation team as we had complete trust. While the Lewingtons expected a huge disruption that lasted weeks, it was nothing like that and the installation itself took just two days. To be honest, we didn’t think that Su and David would have anything more to say, having been so fantastically complimentary. If you’d like to become part of a customer story, get in touch with us today.